SAN DIEGO- Coach Raul Ortiz and Luis Guerra didn’t need any make up. 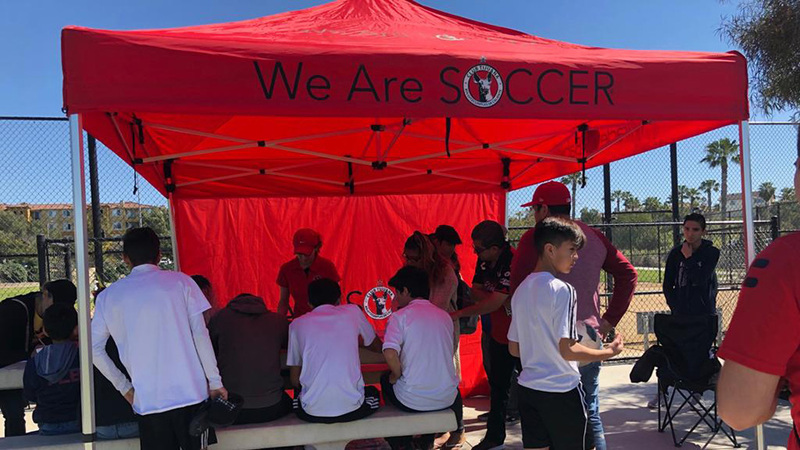 Both Xolos Academy FC coaches were just fine under the camera lights Monday as they represented the academy on a couple of morning news shows. 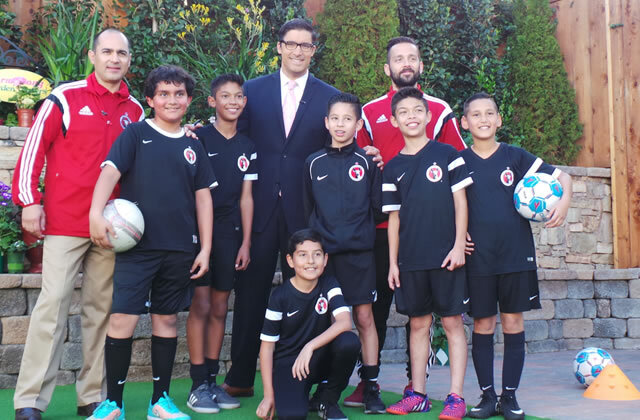 Xolos Academy FC players were also in front of the Live cameras at the Fox 5 San Diego morning news show with host Raoul Martinez. The handful of players went through some drills instructed by coach Ortiz while Coach Guerra explained to viewers what the academy is all about. Martinez, the host, had some fun with the segment and even tried to stop a couple of penalty kicks by the academy players. Some more of the same took place at the KUSI studios down the road a little bit later in the morning. 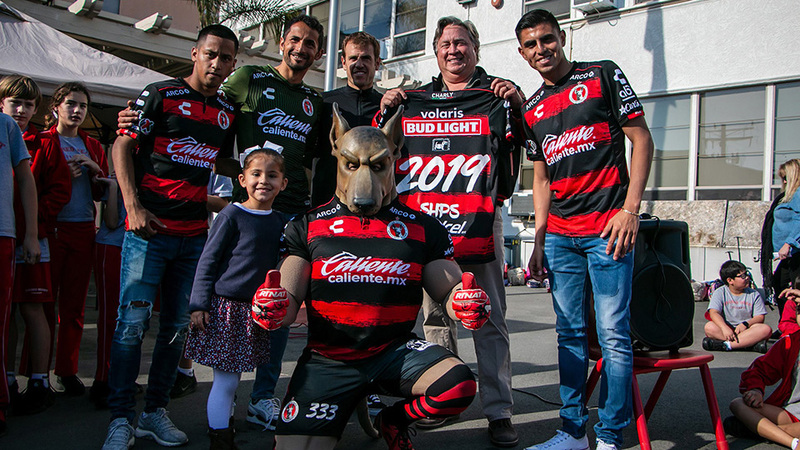 This time it was hosts David Davis and Lisa Remillard who hosted the Xoloitzcuintles. Coaches again spoke about the academy and the upcoming tryouts Tuesday and Thursday at Hilltop High. Remillard tried to shoot a penalty kick this time. She missed to the left of the goalkeeper. 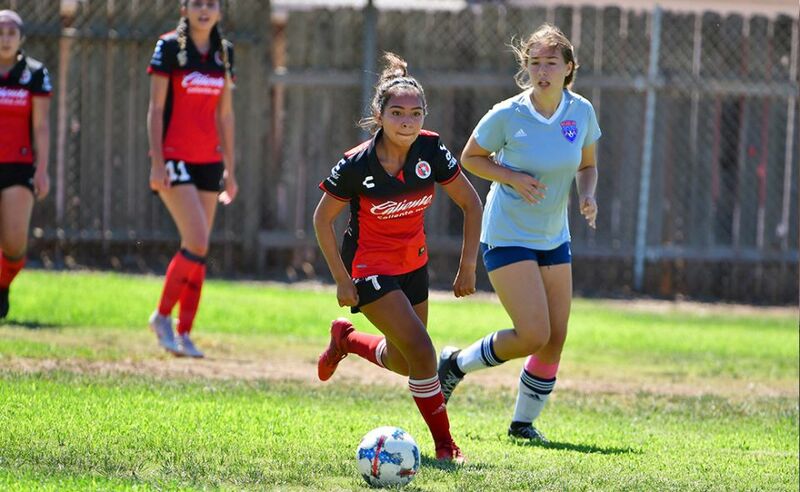 But Xolos Academy FC was right on target representing Club Tijuana at both TV stations. Here is a behind the scenes recap of our players and coaches at the KUSI and FOX 5 studios.